Automotive Electronics – Crest Test Systems Pvt. 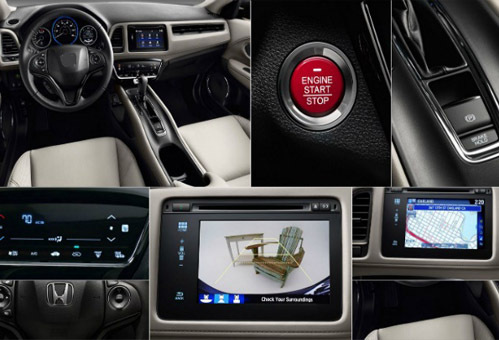 Ltd.
Modern cars contain a large number of electronics that assist in driving the car and also provide passenger comfort and safety. Many modern cars have close to 100 sensors that provide information about the functioning of the car and its surroundings. All the sensors are connected to a central microprocessor in the car called as the ECU (electronic control unit). The ECU opens and closes various valves, deactivates or activates certain functions in the car based on the feedback from theses sensors, and issues warning lights before a catastrophic failure occurs. Some of the sensors that are commonly found in almost all modern cars are temperature sensors, pressure sensors, angle sensors, accelerometers, position sensors, speed sensors, mass airflow sensor, exhaust oxygen sensor, spark knock sensor, anti-lock brake (ABS) sensor, seat belt sensor, windshield cracked sensor, door ajar sensors, steering wheel sensor, crash sensors, etc. A sensor failure adversely affects the vehicle performance and causes it to misbehave. Failure of some critical sensors related to airbags, ABS, speed, engine, steering wheels and hydraulics systems could prove to be hazardous. The problems are easily rectified by replacing the failed sensor. However, such sensor failures are not very common and usually occur after years of operating the vehicle. Thorough testing of all the components fitted in the vehicle ensures reliable functioning of the vehicle for many years after its sale to the customer. Mass failure of a particular component leads to vehicle recalls, which is bad publicity for the manufacturer. Additionally, the vehicle manufacturer incurs tremendous costs to service the recalls and replace the faulty components with reliable ones in all the vehicles. Sensor testing involves loading the sensor on a test bench and measurement of various critical parameters of the sensor. Crest manufactures various test benches for OEMs and for the car manufacturers for ensuring the quality of the sensors and actuators before delivery. Ensuring the quality of the product before delivery. Test systems are available for in-process quality assurance and for end-of-line testing of a fully manufactured motor.